The 1975 Formula One season was the 29th season of FIA Formula One motor racing. It featured the 1975 World Championship of F1 Drivers and the 1975 International Cup for F1 Manufacturers which were contested concurrently from 12 January to 5 October over fourteen races. The season also included three non-championship Formula One races and a nine race South African Formula One Championship. After a strong finish to the 1974 season, many observers felt the Brabham team were favourites to win the 1975 title. The year started well, with an emotional first win for Carlos Pace at the Interlagos circuit in his native São Paulo. However, over the season tyre wear frequently slowed the cars, and the initial promise was not maintained. Niki Lauda often refers to 1975 as "the unbelievable year". 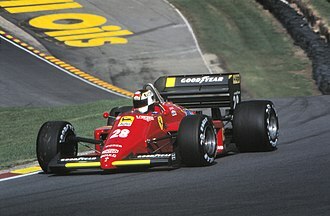 In his second year with Ferrari, the team provided him with the Ferrari 312T—a car that was technically far superior to any of the competition. He won his first world title with five wins and a huge margin over second place in the championship. American Mark Donohue died in August, two days after a practice run crash for the Austrian Grand Prix. After the season in late November, an Embassy Hill airplane crashed in England and all six aboard were killed, including team owner Graham Hill and driver Tony Brise. The following drivers and constructors and contested the 1975 World Championship of F1 Drivers and the 1975 International Cup for F1 Manufacturers. The drivers went to Argentina to start the season, and it was Jean-Pierre Jarier in the Shadow who took pole position with the Brabhams of Carlos Pace and Carlos Reutemann second and third on the grid. However, poleman Jarier could not even start the race because his transmission failed on the parade lap. Home hero Reutemann took the led from teammate Pace, with Niki Lauda's Ferrari third. Pace passed teammate Reutemann to take the lead but then spun off and dropped to seventh. James Hunt in his Hesketh soon overtook Lauda and then Reutemann, much to the chagrin of the crowd. By then, reigning world champion Emerson Fittipaldi in his McLaren was past Lauda and up to third, and soon took Reutemann for second as well. Fittipaldi closed in on Hunt and took the lead with 18 laps left. Pace recovered to fourth after his spin, but it was to no avail as his engine blew up. Fittipaldi started his title defence with a win, Hunt was a superb second, and Reutemann third in front of his home crowd. The second round was in Brazil, and Jarier took pole position again with Fittipaldi alongside and Reutemann third. Reutemann, just like in Argentina, took the lead at the start from Jarier and Pace was up to third, whereas home driver Fittipaldi dropped to seventh. Jarier retook the lead from Reutemann on lap 5 and then pulled away. Reutemann struggled with handling issues and dropped well down the order then, with Pace up to second, Clay Regazzoni's Ferrari third and Fittipaldi recovering to fourth. Jarier's engine stopped with seven laps left and Pace took the lead. Regazzoni was up to second but dropped behind Fittipaldi and Jochen Mass in the second McLaren as he too suffered handling issues. Pace took a home victory, with countryman Fittipaldi second and Mass third. A month after the Brazilian race, the field went to South Africa and Pace followed up his win with pole, with Reutemann alongside as Brabham locked out the front row, and home hero Jody Scheckter was third in the Tyrrell. Pace led at the start, with Scheckter second, and Ronnie Peterson in his Lotus jumped up from eighth to take third. 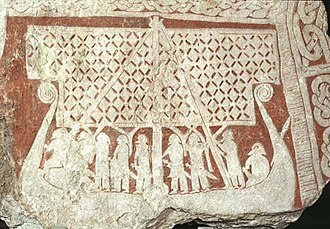 However, the Swede did not have the pace of the front runners and dropped back down the order. Scheckter took the lead from Pace on the third lap, to the delight to the fans. Pace kept second until he struggled with tyres and was passed by Reutemann and the second Tyrrell of Patrick Depailler. Scheckter took an emotional home victory, with Reutemann and Depailler completing the podium. Nearly two months after the third round, the European season began in Spain at the very fast Montjuic street circuit in Barcelona. The Grand Prix Drivers Association was not happy with the state of the barriers, which were not bolted properly, and the drivers threatened not to take part. Mechanics from the teams went around the entire circuit to attempt to repair/fasten down the barriers. After work was done on the circuit, the drivers agreed that the circuit was still not safe enough. Reigning world champion and championship leader Emerson Fittipaldi had no intention to race because of the condition of the barriers, and went home on Sunday morning. The organisers of the event then locked the cars and motorhomes inside the circuit confines for breach of contract and threatened to keep them there. This being incompatible with the timeschedule for the next race at Monaco, the teams decided to cater for the organisers wishes and raced anyway. The rest of the drivers were there for qualifying, and Ferrari took the front row, with Lauda on pole from Regazzoni, and Hunt third in the Hesketh. There was chaos at the start when Mario Andretti in his Parnelli tapped the car of polesitter Lauda, sending it into the sister car of Regazzoni and knocking both Ferraris out of contention. Hunt gratefully took the lead, and Andretti, whose car was undamaged was second. 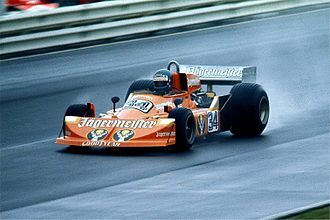 Hunt led until he crashed after spinning on oil on the track, leaving Andretti leading from John Watson in the Surtees and Rolf Stommelen's Hill. Watson then had to pit with a vibration and the leader Andretti retired after a suspension failure sent him into the guardrail. This promoted Pace to second and Peterson to third, but the Swede retired after colliding with backmarker François Migault while lapping him. On lap 26, Stommelen's rear wing broke, and the car bounced into the barriers and flew back onto the road, hitting the barrier on the other side but the momentum of the car was enough for it to fly over the barrier where spectators were watching. The car hit some of them, and five spectators were killed, and Stommelen and other spectators were injured. Pace also crashed while trying to avoid the Hill as it bounced back off the road. The race went on for the moment, with Jochen Mass passing Jacky Ickx's Lotus to lead. The organizers stopped the race on lap 30 due to the debris on the track caused by Stommelen's crash. Mass was declared the winner, with Ickx second and Reutemann third. Only half points were awarded as the race was stopped before it had run 75% of its full course. After the chaotic and tragic Spanish GP, the race on the streets of Monaco was next. Lauda took pole ahead of the Shadow of Tom Pryce, with Pryce's teammate Jarier third. Rain before the race meant that it was started on a damp track. Lauda took off into the lead and Jarier climbed up to second but crashed on the first lap. Peterson was up to second, and Pryce was third. Pryce spun off after 20 laps, giving third to Scheckter. The field soon pitted for dry weather tyres and this shuffled up the order, with Scheckter dropping back after pitting too late. Fittipaldi was up to second behind Lauda, and Pace jumped up to third. That is how it stayed, with Lauda winning, Fittipaldi second and Pace third. It was the last weekend for Graham Hill in Formula One. The next race took place in Belgium, and Lauda was on pole with Pace with him on the front row, and Vittorio Brambilla in the March a surprising third. It was Pace who got the better of Lauda at the start, to lead into the first corner. Pace was leading from Lauda and Brambilla at the end of the first lap, but Brambilla was on the move, and shocked everyone by overtaking both the front-row starters to lead. But this spurred Lauda into action, and after almost immediately passing Pace, he took the lead from Brambilla on the sixth lap. Scheckter was also on the move and was up to second, after passing Brambilla on lap 9. Brambilla held third until he was forced to pit with tyre troubles. Lauda won, becoming the first driver to take two wins this season, with Scheckter second and Reutemann third. In Sweden, it was Brambilla who took his first career pole, with Depailler second and Jarier third on the grid. The order was unchanged at the start, with Brambilla leading but Reutemann was up to third after three laps. Brambilla continued to lead, whereas second-placed Depailler dropped out of contention with brake problems. Reutemann was up to second, and now took the lead from Brambilla. Brambilla had to pit for new tyres almost immediately. Jarier ran second now, but his engine blew up and this gave the position to Pace until he spun off and retired. Lauda was now second, and towards the end of the race Reutemann began to suffer from oversteer, allowing Lauda to take the lead with 10 laps left. Lauda went on to win, with Reutemann and Regazzoni completing the podium. The first race in the second half of the season took place in the Netherlands, and pole went to Lauda as usual, with teammate Regazzoni alongside, and Hunt's Hesketh third. The race started on a damp track and Lauda took the lead, with Scheckter up to second ahead of Regazzoni. The order was unchanged until the drivers had to pit for dry tyres. Hunt and Jarier pitted early, and their gamble paid off as they were first and second, with Lauda, Scheckter and Regazzoni third, fourth and fifth respectively. Lauda passed Jarier for second midway through the race, and started closing on Hunt. Jarier almost immediately retired with a tyre failure, and Scheckter who inherited third had his engine blow up with just 12 laps left. Hunt held off Lauda to take his first career win, with Regazzoni completing the podium. 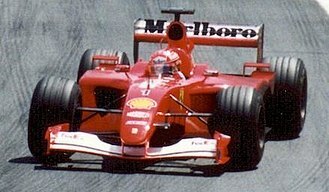 France was host to the 9th round of the season, and it was Lauda on pole ahead of Scheckter and Hunt. The top three maintained their starting positions into the first corner. In the early laps, Regazzoni was on a charge, and got up to second on the sixth lap but his engine blew up and he had to retire. Scheckter soon faded away, giving Hunt second. That was how it ended, with Lauda winning to take a large championship lead, Hunt finishing second and Mass third. The tenth round was held at the Silverstone airfield circuit in Great Britain, and Tom Pryce took a home pole position, with Pace second and championship leader Lauda third. Pace beat Pryce into the first corner, with Regazzoni third ahead of Lauda. After 10 laps, Regazzoni passed Pryce for second, and soon both of them passed Pace. It soon began to rain, and Regazzoni was pulling away until he spun off, hit a barrier and damaged his rear wing. He rejoined two laps down. Pryce now led, but he crashed out as well, two laps later. Scheckter had meanwhile passed both Lauda and Pace, and he was now leading. Scheckter pitted for wet tyres from the lead, and most drivers followed suit. Hunt (after passing Pace) was the leader from Pace and Emerson Fittipaldi as they had not pitted for dries. Scheckter and Jarier both caught and passed the trio, but the track was drying out, and both had to pit for dries soon after. 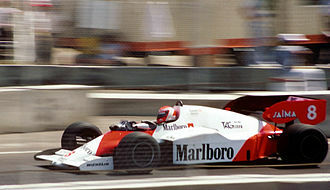 Hunt began to lose power in his engine, and was passed by Fittipaldi, and then Pace, and even a recovering Scheckter. On lap 56 out of 70, the rain fell again, in a massive shower with the whole field on dries. Nearly all the drivers spun off and crashed, and race was stopped. Only 6 drivers were left (notably Fittipaldi). The race was stopped, and the results were declared on the lap before the storm struck. Fittipaldi was the winner, and Pace and Scheckter, despite crashing out, were given second and third. The result meant that Fittipaldi closed within 14 points of Lauda with five races left. The drivers had to go to West Germany, in the legendary Nordschleife track, for round 11- and this proved to be the most crucial round in the championship (the German Grand Prix often was). Lauda was on pole, lapping the 14.2 mi (22.8 km) circuit in under 7 minutes- becoming the first driver to accomplish this feat. Pace was on the front row, and the two Tyrrell drivers Scheckter and Depailler third and fourth respectively. At the start, Lauda led from Pace, with Depailler getting third from his teammate Scheckter, who made a dreadful start and dropped to 20th. Depailler was past Pace early on, but by midway through the race, both drivers were out of contention, Pace retiring with a puncture, and Depailler having to pit after a suspension failure. 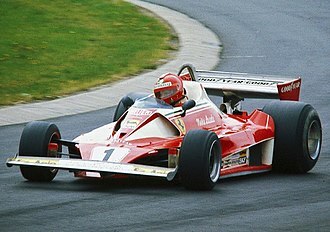 Lauda continued to lead with Regazzoni up to second, until the latter's engine failed. Lauda then suffered a puncture and a damaged spoiler and had to pit, leaving Reutemann to lead from Hunt and Pryce. 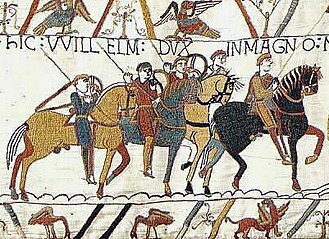 Hunt was next to retire, with a wheel hub failure on the straight behind the pits, and Pryce took second, but only briefly as he had to back off towards the end with fuel-feed troubles. At the front, Reutemann took his first win of the season, with Jacques Laffite's Williams second, and Lauda recovering to third. The Austrian GP on 17 August had a very large attendance, as Lauda had a chance of getting close to the championship at his home race. Lauda did not disappoint them, as he took pole position, with Hunt second and Fittipaldi third. His chief rival, Reutemann, was only 11th. On a morning practice lap, Mark Donohue's March slid off the track after a tyre failure and hit two marshals. 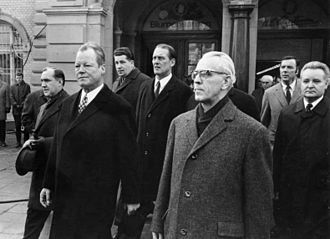 Donohue died two days later, and one of the marshals also died. It began to rain just before the race started, but it did not deter Lauda, who led from Hunt and Depailler. Depailler soon dropped back, and it was Vittorio Brambilla who was up to third. Lauda also began to struggle as the rain became heavier, and Hunt took the lead and Brambilla second on lap 15. Brambilla went to take the lead from Hunt four laps later when they were lapping a backmarker, whereas Pryce passed Lauda for third. Conditions became so bad that the organizers showed the chequered flag early, with Brambilla the winner (he spun off on the slowing down lap and crashed, and drove around to the pits waving to the fans with a badly damaged car), Hunt second and Pryce completing the podium. Only half points were given, as the race was stopped early, just like in Spain. The penultimate round was in Italy, and after the cancellation of the Canadian GP, Lauda needed only half a point to be the 1975 world champion. The Ferrari fans were very happy as their team locked out the front row, with Lauda on pole from Regazzoni, and Fittipaldi third. Regazzoni took the lead at the start, with Lauda and Mass following. Soon Reutemann was up to third, but he needed to win to keep any faint hopes alive. However, he was passed by Fittipaldi, and towards the end, Lauda backed off and let Fittipaldi through. It was Regazzoni who won the race, with Fittipaldi second, and Lauda's third was enough to seal the championship. The final round took place in the US, and it was no surprise that at the spectacular Watkins Glen track in upstate New York (which had a new chicane at the Esses introduced), new World Champion Lauda took pole again, with Fittipaldi alongside and Reutemann third. Lauda led into the first corner from Fittipaldi, and it was Jarier in third. Lauda and Fittipaldi drove away from the rest of the field, whereas Jarier retired with a wheel failure one-third into the race. This left Hunt in third, but Mass had other ideas and took the place midway through the race. Lauda went on to win, his fifth of the season, as he signed off in style, with Fittipaldi close behind in second, and Mass also on the podium. The Canadian Grand Prix was scheduled to be held at Mosport Park soon before the United States Grand Prix, but it was cancelled due to a dispute between two rival breweries, Labatt and Molson. ‡ Half points were awarded because the races were stopped before 75% of the scheduled distance was completed. Bold results counted to championship. ‡ Half points awarded because the races were stopped before 75% of the scheduled distance was completed. 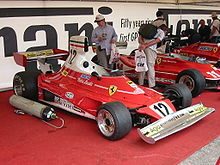 Other Formula One races were also held in 1975, which did not count towards the World Championship. 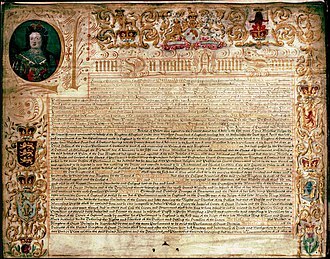 ^ a b "Donohue dies after operation". Beaver County Times. (Pennsylvania, U.S.). UPI. August 20, 1975. p. D-4. ^ a b "Donohue dies of injuries". Milwaukee Sentinel. (Wisconsin, U.S.). Associated Press. August 20, 1975. p. 1, part 2. ^ a b "Donohue dies after surgery". Eugene Register-Guard. (Oregon, U.S.). Associated Press. 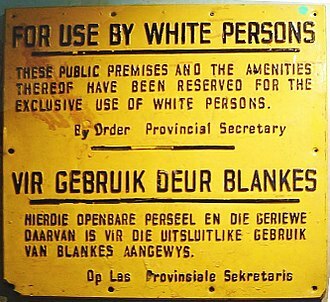 August 20, 1975. p. 1C. ^ "Plane crash kills driver Graham Hill". Pittsburgh Press. (Pennsylvania, U.S.). UPI. November 30, 1975. p. D-1. ^ "Racing mourns death of Graham Hill". Milwaukee Sentinel. (Wisconsin, U.S.). UPI. December 1, 1975. p. 5, part 2. ^ "After cheating death 20 years, Hill killed in air crash". Daytona Beach Morning Journal. (Florida, U.S.). Associated Press. December 1, 1975. p. 1C. ^ "Donahue seriously injured". Daytona Beach Morning Journal. (Florida, U.S.). Associated Press. August 18, 1975. p. 4B. ^ Only the best 7 results from the first 8 races and the best 5 results from the last 6 races counted towards the Championship. Numbers without parentheses are Championship points; numbers in parentheses are total points scored. Team Lotus was the motorsport sister company of English sports car manufacturer Lotus Cars. The team ran cars in motorsport series, including Formula One, Formula Two, Formula Ford, Formula Junior, IndyCar. The Lotus name returned to Formula One in 2010, as the name of Tony Fernandess Lotus Racing team. In 2011, Team Lotuss iconic black-and-gold livery returned to F1 as the livery of the Lotus Renault GP team, sponsored by Lotus Cars, colin Chapman established Lotus Engineering Ltd in 1952 at Hornsey, UK. Lotus achieved rapid success with the 1953 Mk 6 and the 1954 Mk 8 sports cars, Team Lotus was split off from Lotus Engineering in 1954. A new Formula Two regulation was announced for 1957, and in Britain, the following year, the Lotus 12 appeared. Driving one in 1958, Allison won the F2 class in the International Trophy at Silverstone, beating Stuart Lewis-Evanss Cooper. As the Coventry Climax engines were enlarged in 1952 to 2. 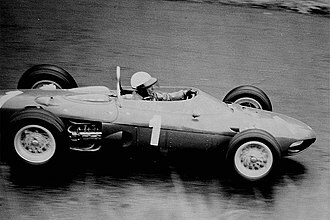 2-litres, Chapman decided to enter Grand Prix racing, running a pair of Lotus 12s at Monaco in 1958 for Graham Hill and these were replaced that year by Lotus 16s. 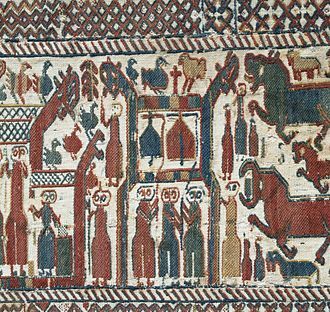 By then, the success had caused it to expand to such an extent that it had to move to new premises at Cheshunt. The first Formula One victory for Team Lotus came when Innes Ireland won the 1961 United States Grand Prix, a year earlier, Stirling Moss had recorded the first victory for a Lotus car at Monaco in his Lotus 18 entered by the independent Rob Walker Racing Team. There were successes in Formula Two and Formula Junior, the road car business was doing well with the Lotus Seven and the Lotus Elite and this was followed by the Lotus Elan in 1962. In 1963 Clark drove the Lotus 25 to a remarkable seven wins in a season and won the World Championship. The 1964 title was still for the taking by the time of the last race in Mexico but problems with Clarks Lotus, however, in 1965, Clark dominated again, six wins in his Lotus 33 gave him the championship. 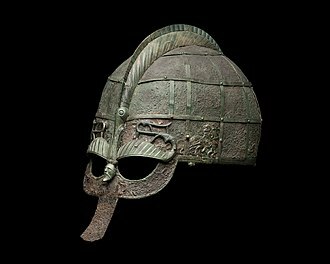 While very innovative, Chapman came under criticism for the fragility of his designs. In Dave Friedmans book Indianapolis Memories 1961–1969, Dan Gurney is quoted as saying and we had several structural failures in those cars. Embassy Hill was a short-lived Formula One team started by the two-time Formula One world-champion Graham Hill, racing as a constructor with its own chassis in 1975. The team was sponsored by Imperial Tobaccos Embassy cigarette brand and ran under various names during its time, Embassy Racing With Graham Hill first came into being when Graham Hill decided to leave his previous team, unhappy with the atmosphere there. He announced in late 1972 he was starting his own team, securing sponsorship from Embassy, Hill started operating a team with cars purchased from Shadow. Things did not go well that year, the teams best finish was ninth at Zolder, the chassis for 1974 were bought from Lola, and designated as the Lola T370. Graham Hill drove throughout the season and scored a point at the 1974 Swedish Grand Prix, the second car was driven by Guy Edwards, and Peter Gethin and Rolf Stommelen. The T370 was still being used at the beginning of the 1975 season, the new car for 1975 was initially designated as the Lola T371, but when designer Andy Smallman left Lola to work full-time for Embassy Hill it was renamed the Hill GH1. Smallmans design drew heavily from the design of previous years Lola cars, the second race of the GH1 at the 1975 Spanish Grand Prix was marred by the collapse of Rolf Stommelens rear wing mounting, which pitched his car into the crowd and killed four people. Stommelen was injured in the accident and did not return until the half of the season. After failing to qualify at the 1975 Monaco Grand Prix, a race he had won five times, Hill no longer drove the cars himself, considered a rising star, finished sixth in the 1975 Swedish Grand Prix and qualified sixth for the 1975 Italian Grand Prix. Alan Jones took over the car for most of the races that Stommelen missed. François Migault and Vern Schuppan were behind the wheel of the second Hill that year, the GH2 was the first Formula One car that Andy Smallman designed from scratch specifically for Graham Hills team, and it was intended for use in the 1976 World Championship season. It was intended to replace the previous model, the Hill GH1, the GH2 employed the usual Cosworth DFV engine and Hewland FG400 gearbox, and had extremely flat boxes, which gave the car a sleek silhouette. Mark Neary Donohue Jr. nicknamed Captain Nice, and Dark Monohue, was an American racecar driver known for his ability to set up his own race car as well as driving it to victories. Donohue is probably best known as the driver of the 1500+ bhp Can-Am Killer Porsche 917-30, born in Haddon Township, New Jersey, Donohue grew up in Summit, graduated from the Pingry School in Hillside, and entered Brown University in Providence, Rhode Island. At the age of twenty-two, while a senior at Brown and he won the first event he entered, a hillclimb in Belknap County, New Hampshire. 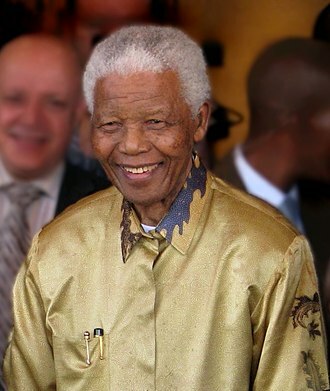 He graduated from Brown in 1959 with a degree in mechanical engineering. Donohue won the SCCA national championship in an Elva Courier in 1961, Hansgen arranged for Donohue to become his teammate in 1965, co-driving a Ferrari 275 at the 12 Hours of Sebring endurance race, which they finished in 11th place. That year, Donohue won two championships, in SCCA B Class in a GT350 and in SCCA Formula C in a Lotus 20B. Donohue was hired on March 29,1964 by Jack Griffith as design engineer for the Griffith, formerly TVR Grantura Mk III, powered by a Ford 289 cid V8 engine. He went on to assist TVRs David Hives in designing the Series 400 Griffith and working on the ill-fated Bob Cumberford-designed, during its production life, there were 192 Series 200 Griffiths built,59 of the Series 400 and only 10 of the Series 600. During his stay at Griffith Mark drove the Griffith-owned Shelby 289 Cobra making his mark on the SCCA circuit, in February of 65 Donohue was named as comptroller at Griffith Motors but was soon spirited away from Griffith by Roger Penske early in 1966. 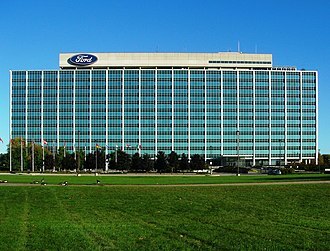 The Griffith company closed its doors in November,1966, in 1966, thanks to his friendship with Hansgen, word quickly spread to the Ford Motor Company about the young driver. Ford immediately signed Donohue to drive one of their GT-40 Mk II race cars campaigned at the 24 Hours of Le Mans by the Holman & Moody racing team, Le Mans proved frustrating for Donohue. Hansgen died while testing the GT40 in preparation for Le Mans so Donohue partnered with Australian Paul Hawkins and Hawkins only completed twelve laps due to differential failure and finished 47th. Earlier that year, co-driving with Hansgen, Donohue finished third at the 24 Hours of Daytona, at Hansgens funeral, Roger Penske spoke to Donohue about driving for him. In his first race for Penske, at Watkins Glen in June 1966, Donohue qualified well but crashed the car at the top of a hill, Donohue was invited back to Le Mans by Ford in 1967. 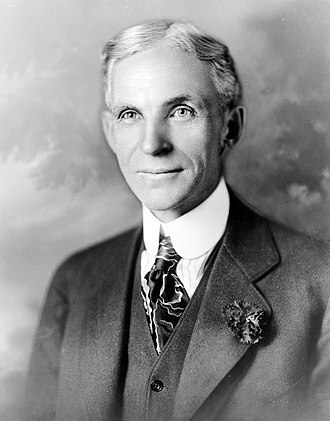 Ford had developed a new GT, the Mark IV. 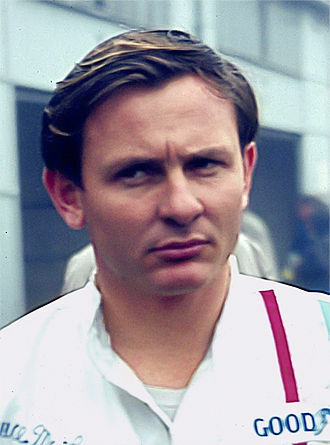 Donohue co-drove in the No.4 yellow car with sports car driver and race car builder Bruce McLaren for Shelby American Racing. The two drivers disagreed on many aspects of racing and car setup, but as a team were able to muster a fourth-place finish in the endurance classic, in 1967, Penske contacted Donohue about driving Penskes brand new Lola T70 spyder in the United States Road Racing Championship. Donohue dominated the 1967 United States Road Racing Championship, driving a Lola T70 MkIII Chevrolet for Roger Penske, Donohue raced in seven of the eight races that year, winning six and finishing third at the Laguna Seca Raceway round behind Lothar Motschenbacher and Mike Goth. The Lotus 72 was a Formula One car designed by Colin Chapman and Maurice Philippe of Lotus for the 1970 Formula One season. The shape made for better air penetration and higher speeds, in a back-to-back test with the Lotus 49, the 72 was 12 mph faster with the same Cosworth engine. Chapmans efforts produced one of the most remarkable and successful designs in F1 history, taking the stressed engine layout technique from the Lotus 49 and adding advanced aerodynamics produced a car that was years ahead of its rivals. Once the suspension was modified, there were no further problems, the car caused a sensation amongst the media and fans, with many people clamouring to see the remarkable car in action. The car was introduced partway into the 1970 season, driven by Jochen Rindt, Rindt made the car successful, winning the Dutch, French and German Grands Prix in quick succession. Rindt was almost certainly going to win the championship but was killed in a qualifying crash at Monza. His replacement, Emerson Fittipaldi, won the United States race and Fittipaldis combined points for the season helped Lotus to its fourth constructors championship. The car was developed during 1971 by Tony Rudd who had worked at BRM. 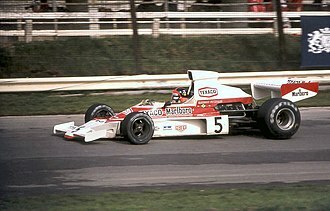 He worked especially on redesigning the rear suspension and modified the rear wing to produce more downforce, Fittipaldi struggled during the season but scored good results and finished a respectable sixth, whilst the following season was much better. The development work done behind the scenes helped him become the youngest world champion in F1s history in 1972 winning five races in the 72, whilst Lotus again won the constructors championship. The car now sported a striking paintscheme of black and gold, Imperial Tobacco had introduced a new brand, Lotus was now sponsored by John Player Special cigarettes. The 1973 season saw new rules introduced to increase car safety and this included mandatory deformable structure to be built into the sides of the cars, causing the 72 to be further updated with integrated sidepods, larger bodywork and new wing mounts. Fittipaldi was joined for 1973 by Swede Ronnie Peterson, Peterson fell in love with the 72. The Tyrrell Racing Organisation was an auto racing team and Formula One constructor founded by Ken Tyrrell which started racing in 1958 and started building its own cars in 1970. The team experienced its greatest success in the early 1970s, when it won three Drivers Championships and one Constructors Championship with Jackie Stewart. The team never reached such heights again, although it continued to win races through the 1970s and into the early 1980s, the team was bought by British American Tobacco in 1997 and completed its final season as Tyrrell in 1998. Tyrrell Racing first came into being in 1958, running Formula Three cars for Ken Tyrrell, throughout the 1960s, Tyrrell moved through the lower formulas, variously giving single seater debuts to John Surtees and Jacky Ickx. But the teams most famous partnership was the one forged with Jackie Stewart, Tyrrell ran the BRM Formula Two operation throughout 1965,1966 and 1967 whilst Stewart was signed to the Formula One team. Tyrrell signed a deal to run Formula Two cars made by French company Matra, Stewart was a serious contender, winning several Grands Prix in the Tyrrell-run Matra MS10. The cars most innovative feature was the use of aviation-inspired structural fuel tanks and these allowed the chassis to be around 15 kg lighter while still being stronger than its competitors. The FIA considered the technology to be unsafe and decided to ban it for 1970, for the 1969 championship, the Matra works team decided not to compete in Formula One. Matra would instead focus its efforts on Ken Tyrrells Matra International team and build a new DFV powered car with fuel tanks. Stewart won the 1969 title easily, driving the new Cosworth-powered Matra MS80 which corrected most of the weaknesses of the MS10, stewarts title was the first won by a French chassis, and the only one won by a chassis built in France. It was an achievement from a team and a constructor that had only entered Formula One the previous year. For the 1970 season following Matras merger with Simca, Tyrrell were asked by Matra to use their V12 rather than the Cosworth, Simca was a subsidiary of the American company Chrysler, a rival of Ford. Stewart tested the Matra V12 and found it inferior to the DFV, Tyrrell was still sponsored by French fuel company Elf, and Tyrrell would retain the traditional French blue racing colours for most of the rest of its existence. Tyrrell and Stewart ran the March-Fords throughout 1970 with mixed success, while Derek Gardner worked on the first in-house Tyrrell Grand Prix car at the woodshed in Ockham, the Tyrrell 001, which bore much resemblance to the MS80, emerged at the end of 1970. It earned Stewart a pole position in the Canadian GP but suffered mechanical failures in all of its 3 race starts, the nearly identical Tyrrell 003 won both Drivers and Constructors Championships in 1971, with strong driving from Jackie Stewart and François Cevert. Stewarts 1972 challenge was ruined by an ulcer, but he returned to full fitness in 1973. He and Cevert finishing 1st and 4th in the Championship, tragedy struck on 6 October 1973, as Cevert was killed in practice for the US Grand Prix at Watkins Glen. Bengt Ronnie Peterson was a Swedish racing driver. Known by the nickname SuperSwede, he was a two-time runner-up in the FIA Formula One World Drivers Championship, Peterson began his motor racing career in kart racing, traditionally the discipline where the majority of race drivers begin their careers in open-wheel racing. Later that year he won the FIA European Formula 3 Championship and moved up into Formula One, racing for the March factory team. In his three-year spell with the team, he took six podiums, after seeing out his three-year contract at March, Peterson joined Colin Chapmans Team Lotus in the 1973 season, partnering defending champion Emerson Fittipaldi. During his first two seasons with Lotus, Peterson took seven victories, scoring a career-best 52 points in 1973, after a poor 1975 season, Peterson moved back to March and scored his final victory for the team at the 1976 Italian Grand Prix. After spending the 1977 season with Tyrrell, he moved back to Lotus for the 1978 season as number two driver to Mario Andretti, Peterson was born in Almby in the vicinity of Örebro, Sweden. He developed his style at a young age while competing in karting. After his karting years, Peterson entered Formula Three racing in the Svebe, superb results from the outset quickly attracted the attention of the ambitious Tecno company from Italy, who signed him in 1968. The pairing produced some results, and he won the 1969 Formula Three Championship. Even after his elevation to F1 status Peterson still drove in lower echelon racing series, Peterson made his Grand Prix debut in a March 701 for Colin Crabbes works-supported Antique Automobiles Racing Team at the 1970 Monaco Grand Prix. The limited budget of Crabbes privateer team allowed only minimal testing, Peterson was the only March driver to finish the race, in seventh place. In 1971 Peterson moved up to the full March works team, five Formula One Grand Prix second places earned him the position of runner-up to Jackie Stewart in that years World Championship. Within that year, Peterson drove in the World Sports Car Championship driving an Autodelta Alfa Romeo to win the Watkins Glen 6 hours, Peterson stayed at March until 1973, when he signed for John Player Team Lotus to partner Emerson Fittipaldi. Norman Graham Hill OBE was a British racing driver and team owner from England, who was twice Formula One World Champion. He is the driver ever to win the Triple Crown of Motorsport—the 24 Hours of Le Mans, Indianapolis 500. He appeared on TV in the 1970s on a variety of non-sporting programmes including panel games and he liked painting in his spare time. Hill and his son Damon were the first father and son pair to have won the Formula One World Championship. Hills grandson Josh, Damons son, raced his way through the ranks until he retired from Formula Three in 2013 at the age of 22. Hill died at age 46 when the twin-engine six-seat Piper Aztec aeroplane he was piloting crashed and burned in foggy conditions at night near Arkley golf course in North London. Hill, Tony Brise, and four members of Hills racing team were returning from car testing at Circuit Paul Ricard in France and were due to land at Elstree Airfield. 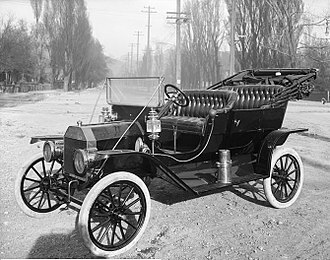 After leaving the Navy, he rejoined Smiths Instruments, Hill did not pass his driving test until he was 24 years old, and he himself described his first car as A wreck. A budding racing driver should own such a car, as it teaches delicacy and anticipation and he had been interested in motorcycles but in 1954 he saw an advertisement for the Universal Motor Racing Club at Brands Hatch offering laps for 5 shillings. He made his debut in a Cooper 500 Formula 3 car and was committed to racing thereafter, Hill joined Team Lotus as a mechanic soon after but quickly talked his way into the cockpit. The Lotus presence in Formula One allowed him to make his debut at the 1958 Monaco Grand Prix, in 1960, Hill joined BRM, and won the world championship with them in 1962. Hill was part of the so-called British invasion of drivers and cars in the Indianapolis 500 during the mid-1960s, in 1967, back at Lotus, Hill helped to develop the Lotus 49 with the new Cosworth-V8 engine. After team mates Jim Clark and Mike Spence were killed in early 1968, Hill led the team, a crash at the 1969 United States Grand Prix at Watkins Glen broke both his legs and interrupted his career. Jacky Ickx was introduced to the sport when he was taken by his father, motoring journalist Jacques Ickx, to races which he covered. Despite this family background, Jacky had limited interest in the sport until his father bought him a 50 cc Zündapp motorcycle, soon afterwards, Ickx won 8 of 13 races at the first season and the European 50 cc trials title. He competed in car races where he had already significant experience from taking part in the 1000 km races at the Nürburgring. Ickx entered his first Grand Prix at the Nürburgring in 1966, driving a Matra MS5-Cosworth one-litre Formula Two car, however, a first lap collision with John Taylor caused both cars to retire and Taylor died as a result of burns received in the accident. In 1967, Ickx again drove at the Nurburgring, with an F2 Matra MS7-Cosworth 1. 6-litre, despite the greater power of the Formula One cars, only two F1 drivers qualified with a faster time than Ickx, Denny Hulme and Jim Clark. As Ickx was racing in the separate F2 class, he started the race all of the F1 cars. He was forced to retire after 12 laps with broken front suspension, at Monza in 1967, he made his F1 debut in a Cooper T81B-Maserati, finishing sixth, despite suffering a puncture on the last lap. 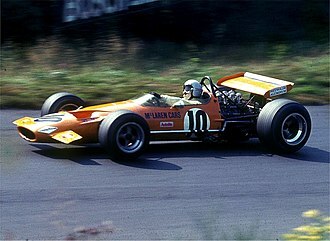 He drove for Cooper in the United States Grand Prix at Watkins Glen, in 1968 Ickx drove in Formula 1 for Ferrari. He retired from his first two races, but at his race at Spa-Francorchamps he started from the front row. At the French Grand Prix at Rouen he took his first win, in heavy rain, Ickx finished third at Brands Hatch and fourth at the Nürburgring after driving almost the entire race in heavy rain without his helmet visor. At Monza he finished the race in third position, in Canada he crashed and broke his left leg during practice, thus did not start and missed the subsequent United States Grand Prix. He returned in time for the race of the season in Mexico. Ickx scored 27 points in the 1968 Formula One season finishing in place behind Graham Hill, Jackie Stewart. In 1969, Ickx moved to Brabham, partly at the instigation of the John Wyer team for whom hed had considerable success in sports cars. Jochen Richard Mass is a German former racing driver. Mass was born in Dorfen, Bavaria and he participated in 114 Formula One World Championship Grands Prix, debuting on 14 July 1973 at the British Grand Prix. He won one GP race, secured no pole positions, achieved 8 podiums, Mass is perhaps best known for his blameless part in the death of Gilles Villeneuve. On 8 May 1982, with only 10 minutes left until the end of the session for the 1982 Belgian Grand Prix at Zolder. As Villeneuve came up behind Mass exiting a super-fast left turn, Villeneuve had already committed to the right hand side and the two cars touched wheels, launching the helpless Canadian skyward. Villeneuves car hit the ground nose-first and was torn apart in a series of violent cartwheels. His seat was dislodged and he was flung from his car, Mass stopped his car, jumped out and ran back to Villeneuve’s wrecked car, but there was nothing he could have done. Villeneuve was flown to hospital and taken off that evening. In 1972, he teamed up with Hans-Joachim Stuck to drive a Ford Capri RS2600 to victory at the Spa 24 Hours endurance race in Belgium and he went on to win that years World Sportscar Championship. He finished second to Clay Regazzoni and Arturo Merzario in a November 1972 9-hour race at the Kyalami Circuit, in Johannesburg, Mass co-driver in a Chevron B-21 was Gerry Birrell.8 seconds, for an average of 124.3 miles per hour. Mass placed second to Jean-Pierre Jarier in a Formula Two race at Nivelles and he had finished second in the first heat and third in the second. He completed his first Formula One race at the 1973 German Grand Prix at the Nürburgring, Mass came in seventh in a Surtees. He drove a McLaren-Ford to third place in the 1975 Brazilian Grand Prix at Interlagos, Mass won the 1975 Spanish Grand Prix after leader, Rolf Stommelens car hit a protective barrier, exploded into flames and catapulted into the crowd at the Montjuich circuit. Four spectators were killed and twelve were injured, stommelen suffered multiple fractures and was in a critical condition after the accident. Mass was declared the winner in his Texaco McLaren-Ford, when the race was stopped immediately after the accident and Mass led an Alfa Romeo sweep of the first two positions in the 1975 Coppa Florio manufacturers championship automobile race at Pergusa. Emerson Fittipaldi is a semi-retired Brazilian automobile racing driver who won both the Formula One World Championship and the Indianapolis 500 twice each and the CART championship once. Moving up from Formula Two, Fittipaldi made his debut for Team Lotus as a third driver at the 1970 British Grand Prix. After Jochen Rindt was killed at the 1970 Italian Grand Prix and he enjoyed considerable success with Lotus, winning the World Drivers Championship in 1972 at the age of 25, a youngest F1 world champion record that he held for 33 years. He moved to McLaren for 1974, winning the title once again and he surprised the paddock by moving to his brothers Fittipaldi Automotive team prior to the 1976 season, being replaced by James Hunt. Success eluded him during his years in Formula One, with the Fittipaldi cars not competitive enough to fight for victories. Fittipaldi took two podium finishes, before retiring in 1980. Following his Formula One career, Fittipaldi moved to the American CART series, achieving results, including the 1989 CART title. Since his retirement from Indy Car racing in 1996, Fittipaldi races only occasionally, at age 67, he entered the 20146 Hours of São Paulo. Emerson Fittipaldi was born in São Paulo and his grandfather Ivan Wojciechowski was an officer in the Tsarist army. He was named after American author and philosopher, Ralph Waldo Emerson, Emerson became a motorsports enthusiast at an early age. Fittipaldi is the brother of former Formula One driver and team owner Wilson Fittipaldi. He is the uncle of TUDOR United Sports Car Championship driver Christian Fittipaldi and he was married to Maria Helena from 1970 to 1982. They had three children together, Juliana and Tatiana and he was married a second time, to Teresa, in the mid-1980s. They have one daughter, and a son, Luca, in early December 2012 he married economist Rossana Fanucchi in São Paulo after a partnership of eleven years. In his youth in Brazil, Emerson was known as Rato - mouse, by the end of his career he was most commonly known as Emmo in the United States and the UK. Lauda practicing at the Nürburgring during the 1976 German Grand Prix. 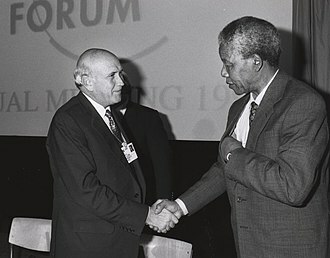 Five years after his first retirement, Lauda won his third title driving a McLaren MP4/2. Emerson Fittipaldi in the 2011 São Paulo Indy 300. He waved the green flag at the start of the race. The bust of Carlos Pace in the circuit. The first corner is the most popular overtaking spot. Michael Schumacher passes Kimi Räikkönen at the 2006 Brazilian GP. Courtyard of the College, Pátio do Colégio, in the Historic Center of São Paulo. 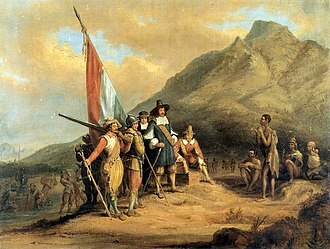 At this location, the city was founded in 1554. The current building is a reconstruction made in the late 20th century, based on the Jesuit college and church that were erected at the site in 1653. 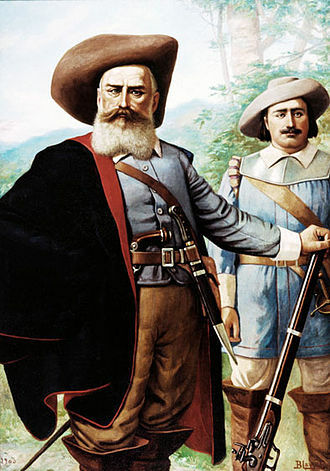 Domingos Jorge Velho, a notable bandeirante. Hill and Colin Chapman at the 1967 Dutch Grand Prix. 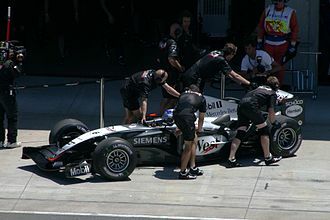 Mechanics push Kimi Räikkönen's MP4-19 into the garage during qualifying for the US Grand Prix at Indianapolis in 2004. 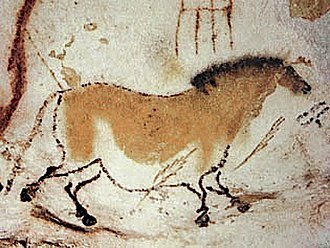 Cave painting at Serra da Capivara National Park. 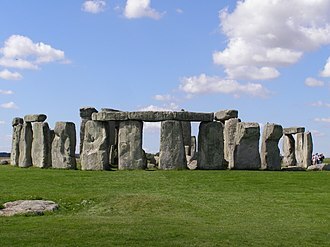 This area has the largest concentration of prehistoric sites in the Americas. 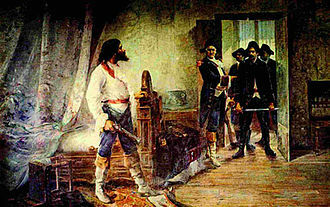 Painting showing the arrest of Tiradentes; he was sentenced to death for his involvement in the best known movement for independence in Colonial Brazil. Painting of 1914. 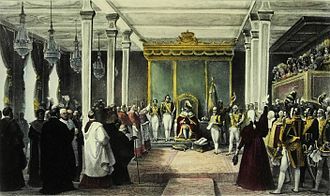 Declaration of the Brazilian independence by Prince Pedro (later Emperor Pedro&nbsp;I) on 7 September 1822. Peterson having a conversation with Colin Crabbe at the 1970 Dutch Grand Prix. Peterson at Hockenheim in 1971 for a F2 race. Peterson in the Lotus 72 at the 1973 Dutch Grand Prix. A McLaren M23 with much of its bodywork and front wing removed, Cosworth DFV visible in the rear. Note the exposed pedals between the front wheels and minimal upper-body crash protection, very different from today's F1 cars. Scheckter in a Tyrrell 007 at the 1974 British Grand Prix at Brands Hatch. 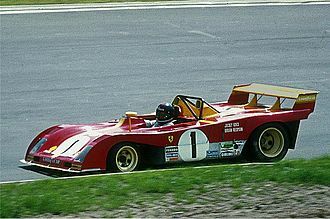 Pace driving a Ferrari 312PB at the Nürburgring in 1973. Pace at the Nürburgring in 1973. Jabouille's Renault RS01 and helmet on display at the Deutsches Museum. A Ford Cosworth DFV on a Ligier JS11. The classic DFV engine – Hewland gearbox combination, mounted in the rear of a 1978 Tyrrell 008. Depailler driving a Formula Two car at the Nürburgring in 1970.